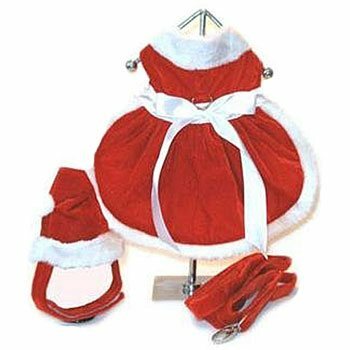 Big or small, even tiny, The Santa Girl Dog Dress is a soft red velvet dress that has a matching hat and leash included. Please Note D- Ring is only available in sizes XXS thru Large - Can also be worn as a girl dog costume for Halloween. DOUBLE SIZE and DOUBLE STRENGTH Hook and Loop Closures!